Let’s share stories of dance, healing, and hope! This was a video tribute created by Actor, site Director, Producer James Keach to introduce Susan Rizzo Vincent to the audience at the first annual Open Hearts Gala. The tribute explains how the Andréa Rizzo Foundation came to be and why Susan was being honored by the foundation with one of its first ever Open Heart Awards. In 2011 Susan Rizzo Vincent received one of the first Open Hearts Foundation awards along with Robin Roberts, Emmit and Pat Smith and Jesse Billauer. 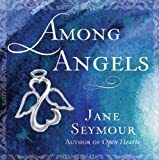 The Open Hearts Foundation, created by Jane Seymour and her husband James Keach, honors those individuals who are making a difference by turning their own personal challenges into a means of reaching out to others. In this video actress Jane Seymour presents Susan with her award and Susan gives an acceptance speech. 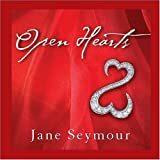 In giving her the Open Hearts Award, medical actress Jane Seymour said that Susan Rizzo Vincent exemplified the Open Heart Philosophy she hopes to promote through her work with the Open Hearts Foundation and through her Open Heart book series. The Andrea Rizzo Foundation was established in memory of Andréa Rizzo, a beautiful young woman who survived childhood cancer and was tragically killed at the age of 24 by a drunk driver. Her dream was to become a dance therapist and give children with cancer and disabilities the gift of dance. With the support of many, her dream has become a reality. Our goal is to foster Andréa’s dream of helping children with cancer and special needs through the power of dance. What is Dance Therapy and How can it help heal? Based on the assumption that the body and mind are interrelated, the American Dance Therapy Association defines dance/movement therapy as the psychotherapeutic use of movement to further the emotional, cognitive, physical, and social integration of the individual. The Andréa Rizzo Foundation, founded by Susan Rizzo Vincent, funds Dréa’s Dream pediatric dance/movement therapy programming to children with cancer and special needs in hospitals and schools nationwide. To date, Dréa’s Dream is in 18 sites across the country. Each highly credentialed dance/movement therapist works bedside or in small groups with children to access emotions such as anger, fear, anxiety and through the dance and movement the emotions are released and a transformation takes place that promotes coping and healing. Dance/movement therapy is practiced in mental health, rehabilitation, medical, educational, and forensic settings, and in nursing homes, day care centers, disease prevention, and health promotion programs.The dance/movement therapist focuses on movement behavior as it emerges in the therapeutic relationship. Expressive, communicative, and adaptive behaviors are all considered for both group and individual treatment. Professional training of dance/movement therapists occurs on the graduate level. R-DMT (Registered Dance/Movement Therapist) is granted to individuals who have completed a master’s degree in dance/movement therapy or a master’s degree in a related field plus 45 credits of specific dance/movement therapy curriculum. All candidates must complete a 700 hour supervised clinical internship in dance/movement therapy. BC-DMT (Board Certified Dance/Movement Therapist) is awarded only after R-DMTs have completed 3, 640 hours of supervised, professional clinical work. BC-DMTs are qualified to teach, provide su pervision, and engage in private practice. Many BC-DMT’s hold state licenses, National Certified Counselor (NCC) status, and doctoral degrees.